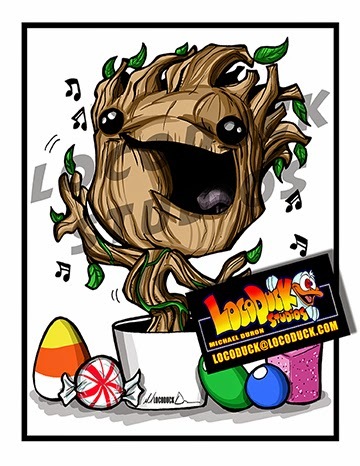 LOCO'S POND: Fanboy Expo In Tampa Bay This Weekend! Fanboy Expo In Tampa Bay This Weekend! We'll be setting up for the weekend at Tampa Bay Fanboy Expo. The event is being held at the Hilton downtown Friday, Saturday and Sunday! We barely snuck into the show, so we aren't sure where our spot is, but we are definitely going to be there! Come on by, say hi, and pick up our newest piece! Dancing baby Groot- Sugar Boogarz style! Come on, you just KNEW I had to make one of these little guys!